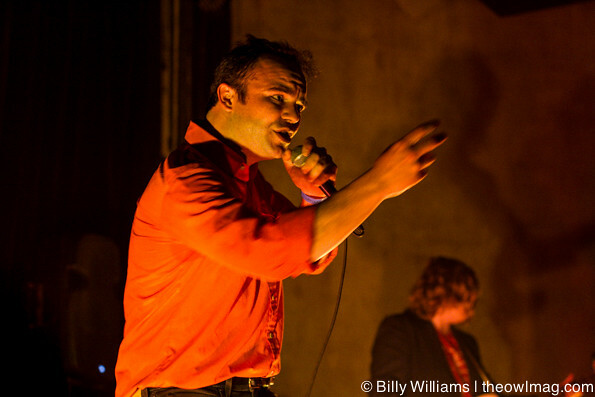 Future Islands have always held that special “it” factor, something special that everyone would catch on with time. 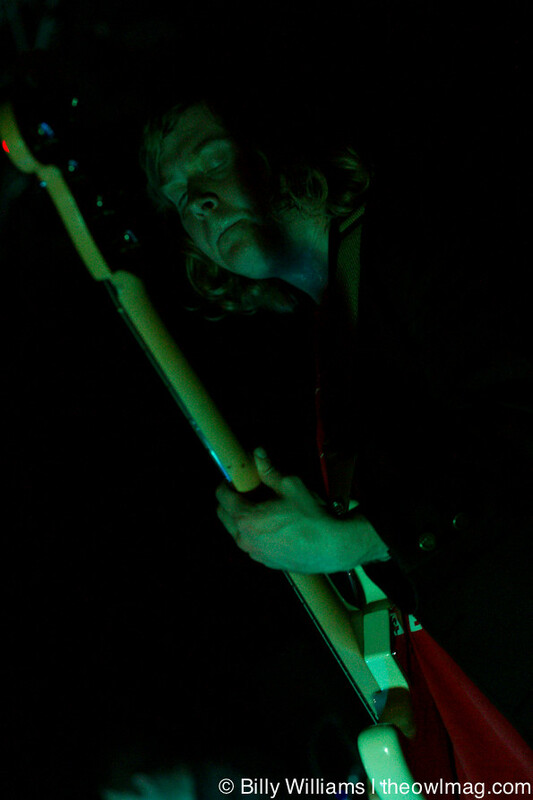 With their latest album, Singles, released earlier this year via 4AD, the band have steadily gained a bigger and bigger audience. This is in part due to their charismatic presence and their “leave it all on stage” approach to their live shows. In between weekend appearances at this year’s Coachella Music and Arts Festival, Santa Ana were treated to an intimate and sweaty live show. 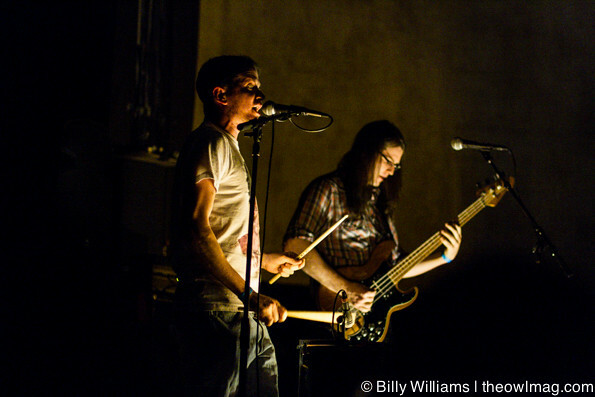 Opening for the band this evening were longtime friend Ed Schrader’s Music Beat. For those unfamiliar with band, they play a furious pace of drum-driven punk tunes, mixed in with some sporadic ballads for good measure. ESMB’s random ranting between songs gained a few laughs here and there, with others left scratching their heads in confusion of what they were witnessing. Something the band seems to try to accomplish while on stage as their song lyrics being just as random and entertaining. Future Islands wasted little time coming out, as the quartet (usually a three piece) appeared on stage, lead singer Samuel Herring said, “What’s up y’all, we’re Future Islands! Let’s get it started,” then describing opener “Back In The Tall Grass” as “some North Carolina crawling through the creek beds.” Following up with “Sun In The Morning”, surprisingly many seemed reluctant to let loose and dance. This all changed when the opening notes of “Balance” began and this fast pace dance party didn’t stop for the next 45 minutes. The setlist was well balanced with older favorites, with songs off their most recent album occupying a good majority. 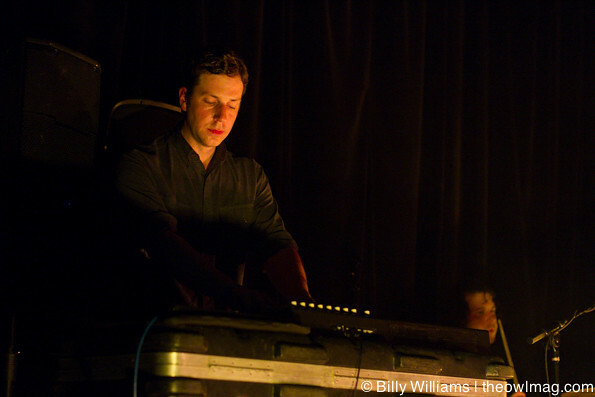 “Spirit”, “Light House”, and “Seasons (Waiting On You)” seemed to be the new songs that garnered the loudest response. Not at all comparable to the louder and electrifying boost that circulate the crowded room when “Tin Man” and closer “Long Flight” were played. There is a way of rejecting the notion that Future Islands are destined for much bigger, evident by their sold out shows. Most have to feel lucky that they might have witnessed Future Islands in a small venue for the last time. The band is sure to continue touring in support of Singles, make sure to not miss an opportunity to experience this musical miracle known as Future Islands. Check out more photos of the intimate performance HERE!